What a week, I did finally pick up the camera a touch over the weekend but for the first time since the start of the new year. I did not take photo’s every single day.. It got set down for five days.. The Flu did a major number on the whole house and we are still honestly recovering.. So to say that I was grateful to have this photo in the que is a massive understatement. The challenge for Week 6 was to take a “raw” photo.. everything had to be done in the placement/taking of the photo with nothing done in camera and nothing on the back end in the photo programs. 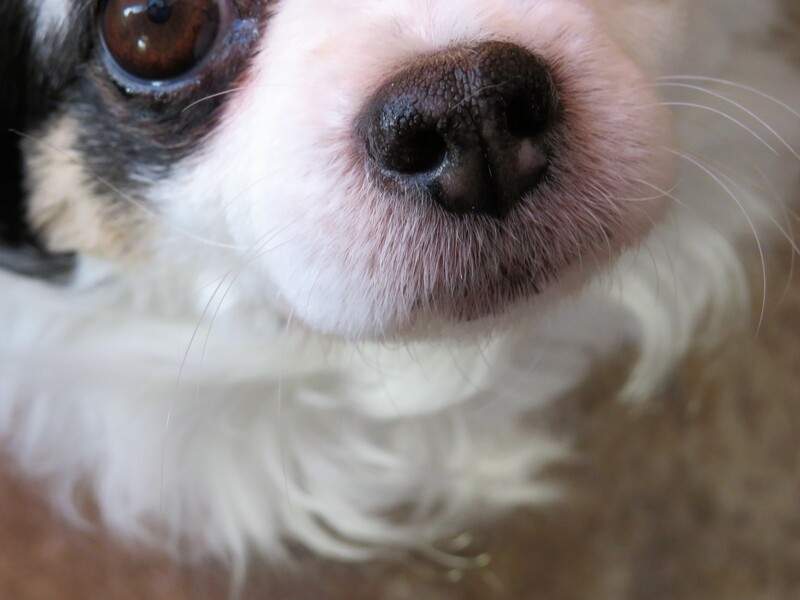 I had snapped this cute little Nose photo of Miss Paris aka the moppet in week 4. This entry was posted in photography and tagged Dogwood 52 photography, Dogwood 52 Week 6, Dogwood 52 week Challange, Dogwood photography, Farmgal's Photography. Bookmark the permalink. We’ve been hit hard over here as well, quite a few people we know have had it and have taken a while to recover. Hope you feel more like yourself soon! Like you I love Photography and these are great shots!! I always wondered if I should add a photo journal on my site, but still learning how to do all the technology stuff on site!